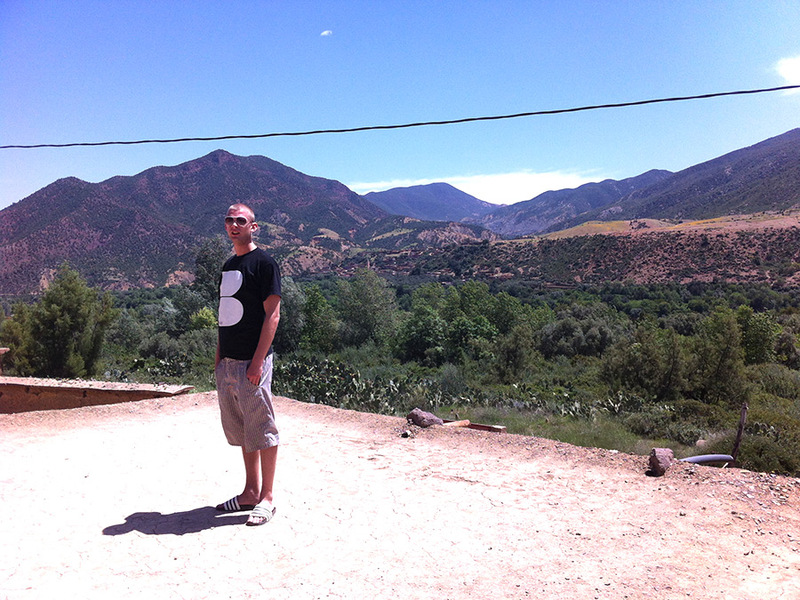 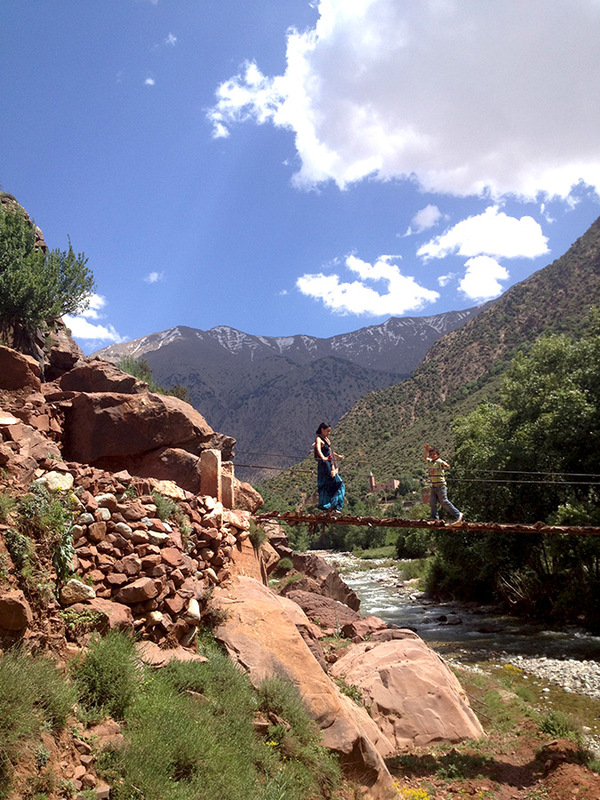 About an hour or so from Marrakech by car, you will encounter the true landscape of Morocco where the monumental High Atlas mountain range begins. 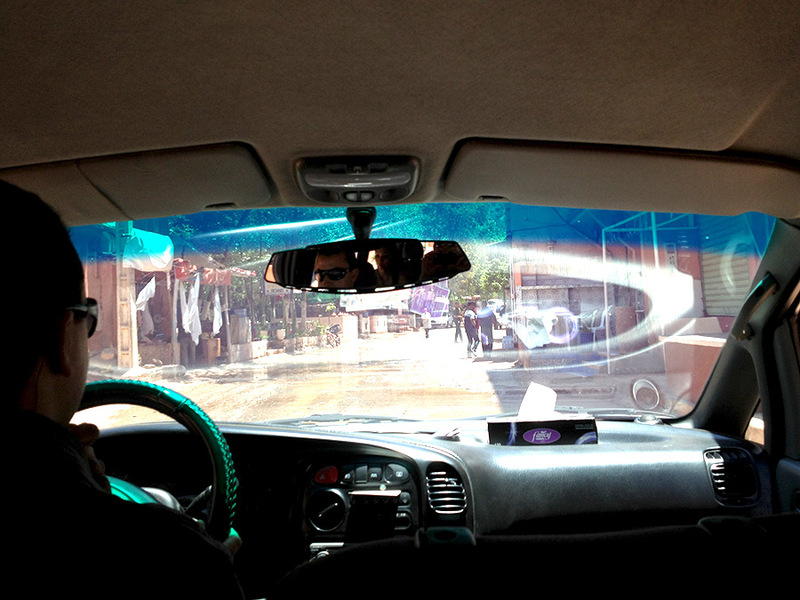 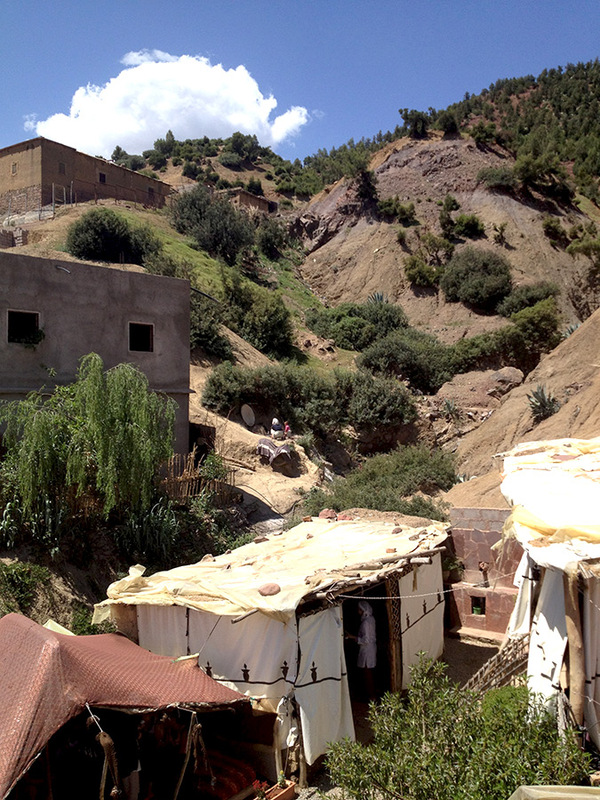 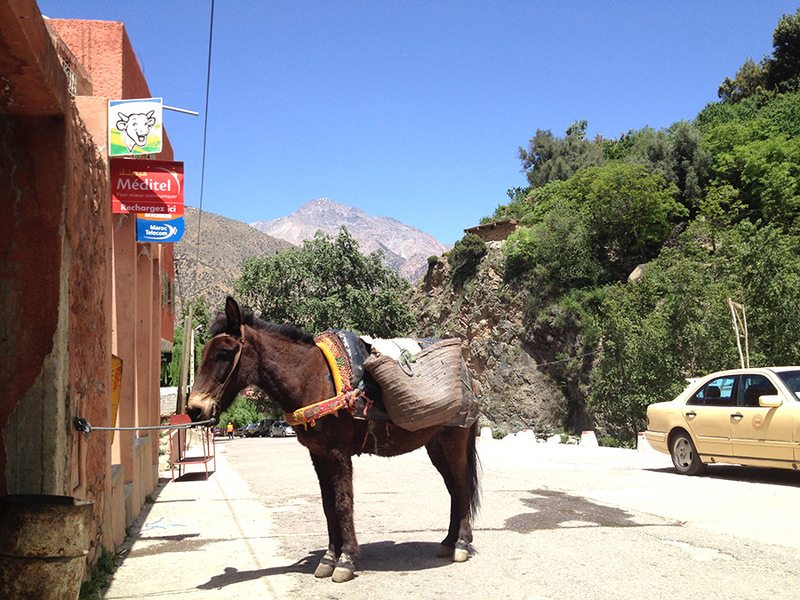 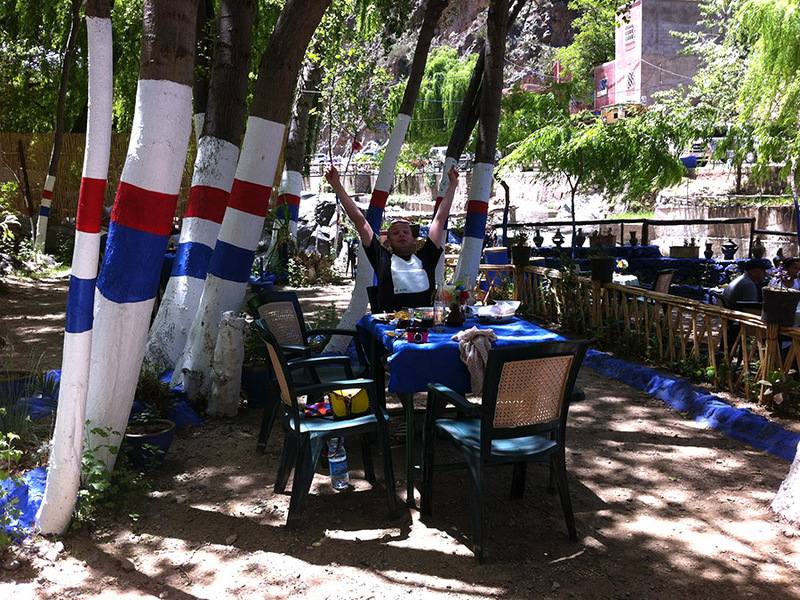 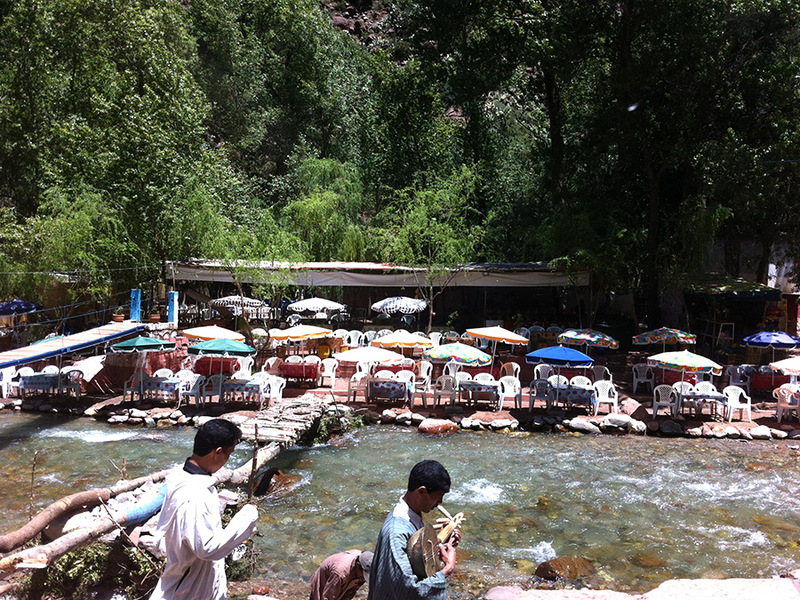 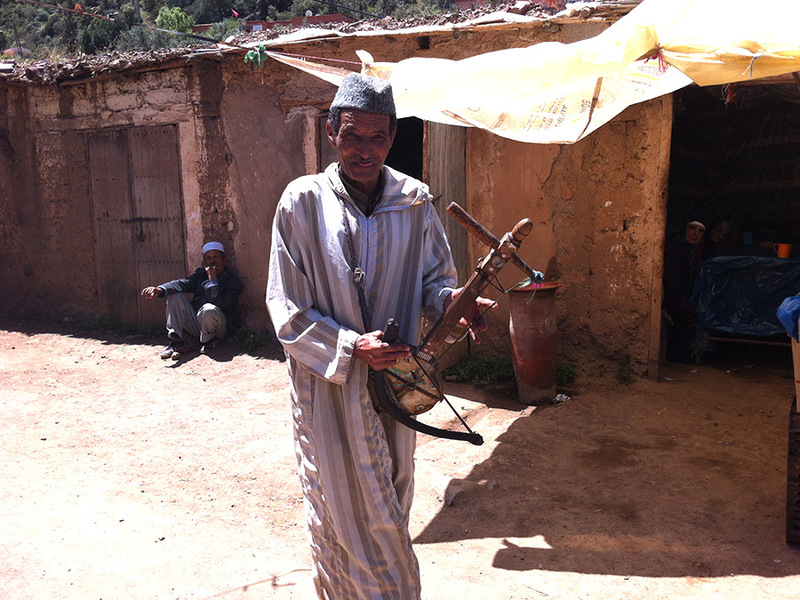 A taxi guide can be arranged from your riad to a riverside Berber village called Setti Fatma with seven waterfalls. 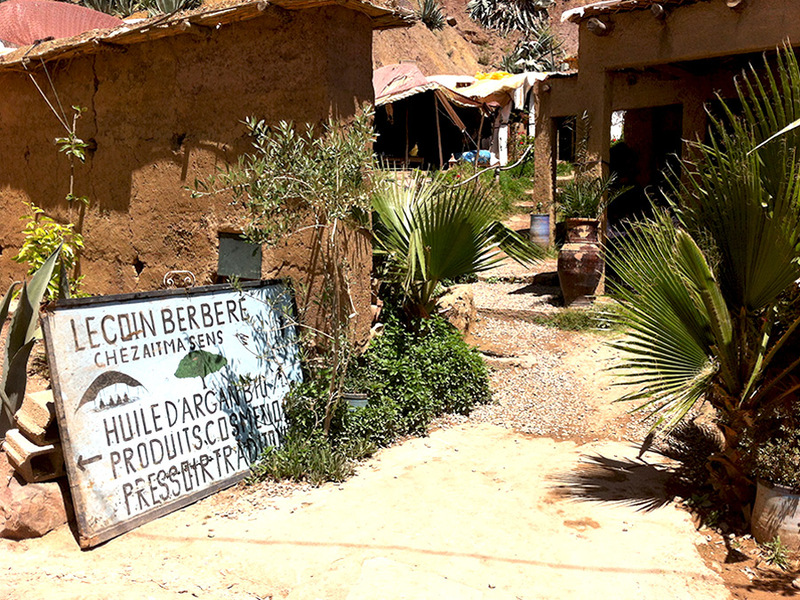 On route, you can stop by Berber antique and craft shop Le Musée d’Arhbalou near south of Arhbalou and visit Chez Aitma Sens, an argan-based production company entirely run by local Berber women and their traditional manufacturing method. 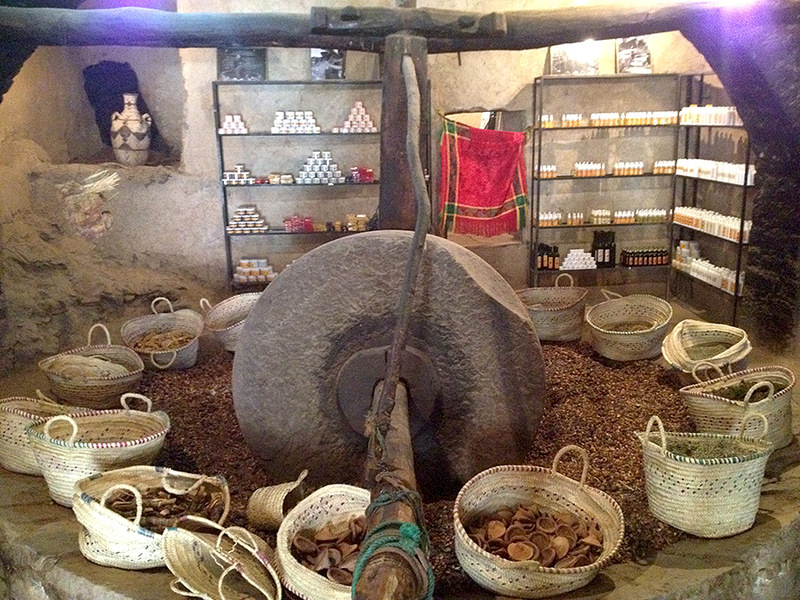 You can check out the original mill and press, get an insight on the traditional manufacturing process and see the excellent craftsmanship of Berber woman. 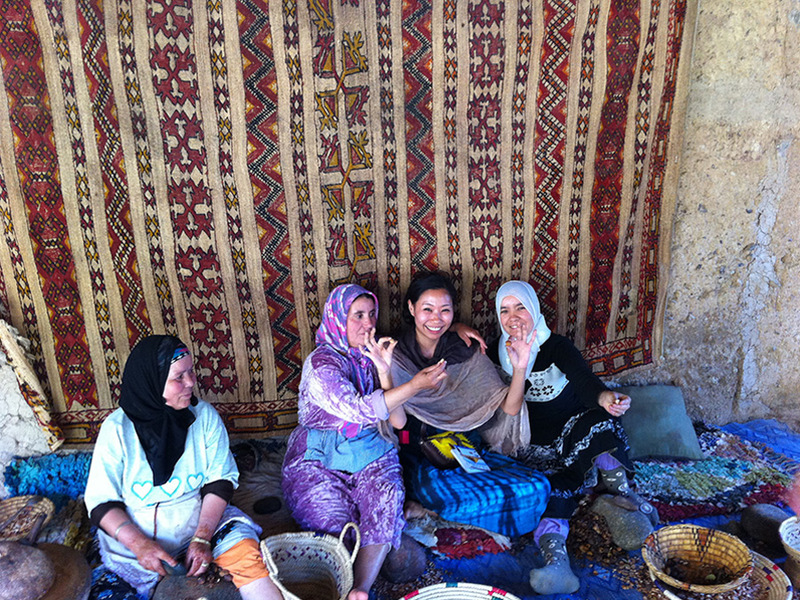 Everything is made by hand here from the cracking to the pressing and it is worth buying your argan-based products here for the quality and the good support of the independent women in Morocco. 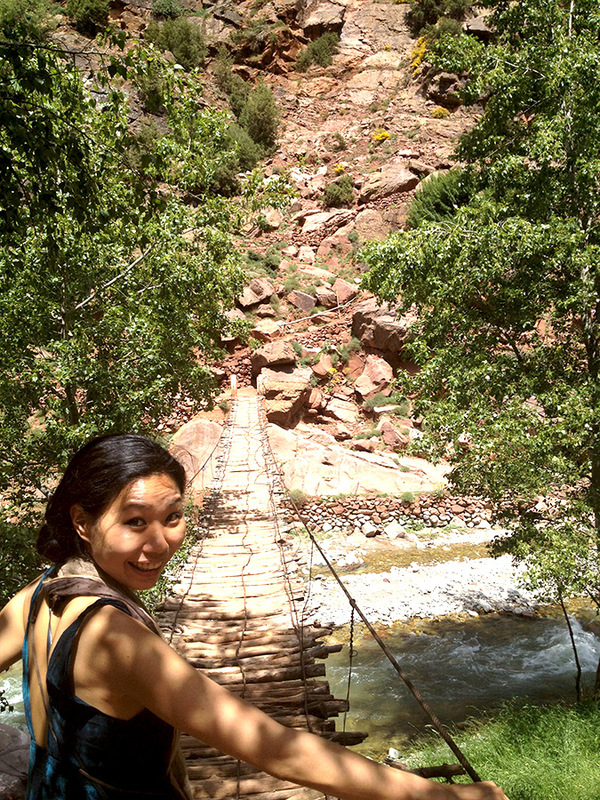 When you finally arrive in Setti Fatma, It takes about half an hour to trek to the waterfalls and you will need a reasonable fitness level and shoes with a good grip. 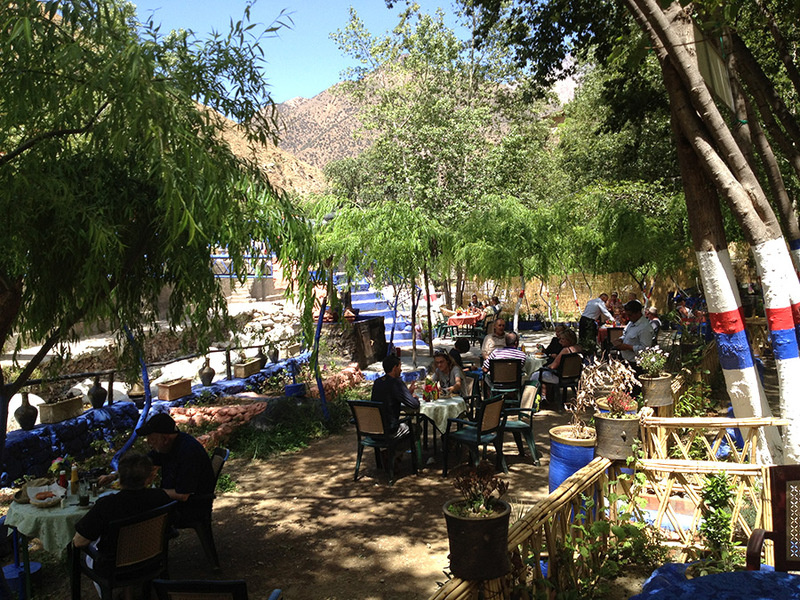 After the completion of your tricky descending, you can enjoy your well-deserved lunch by the river Ourika back in Setti Fatma where you will find dozens of restaurants over rickety platforms, above the water stream and under the almond trees. 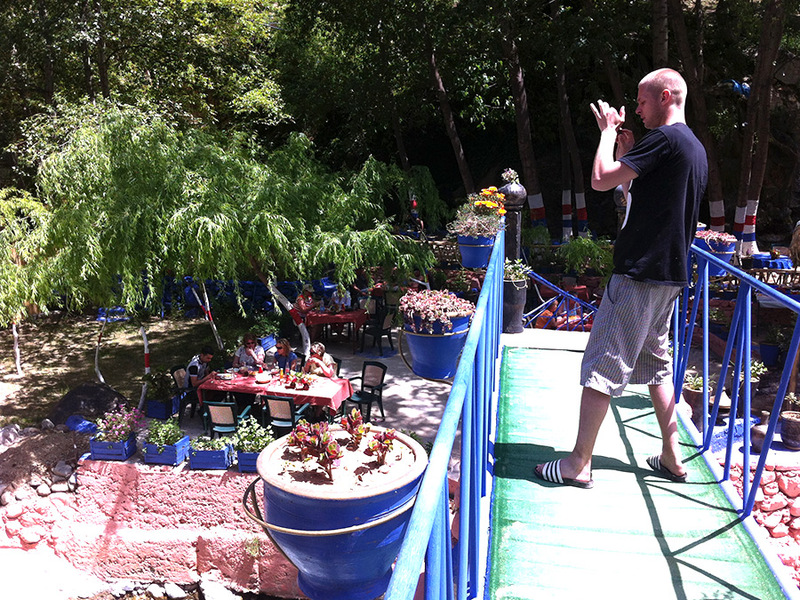 You won’t get the best meal in town but the surroundings are heavenly with peaceful sounds of birds and water stream. 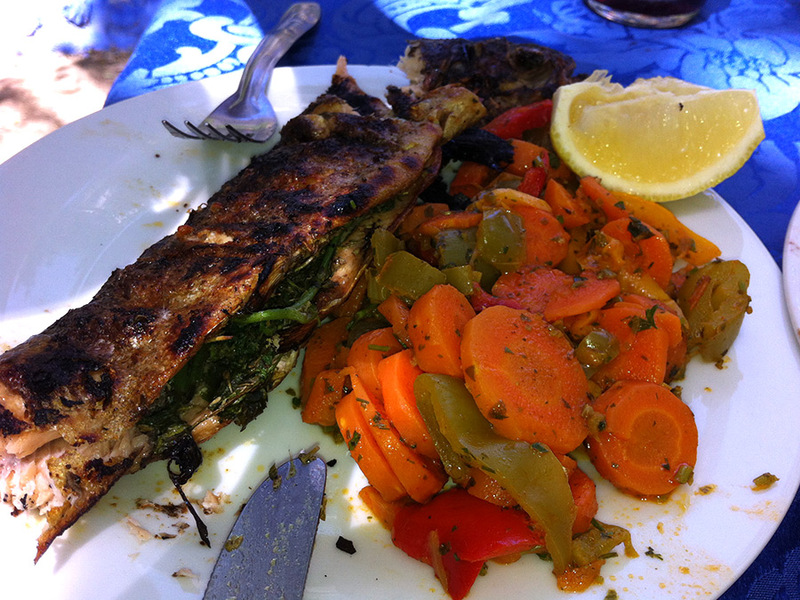 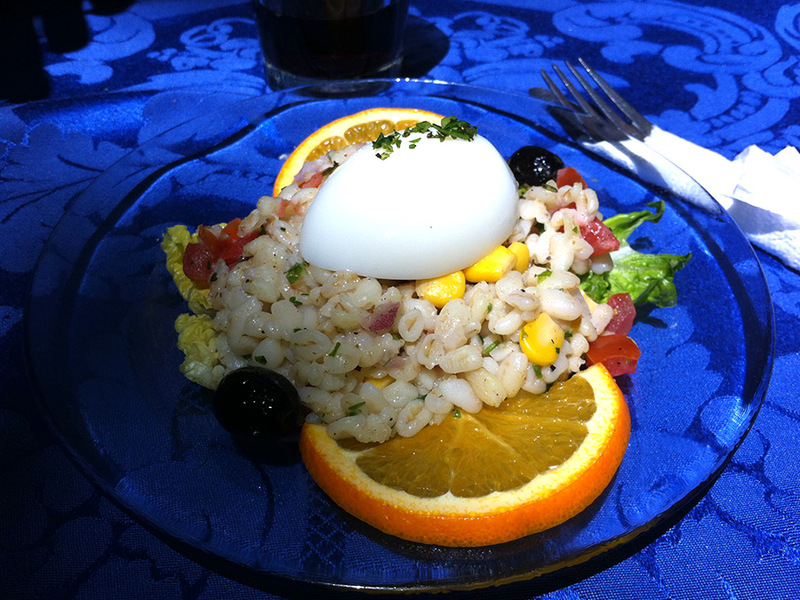 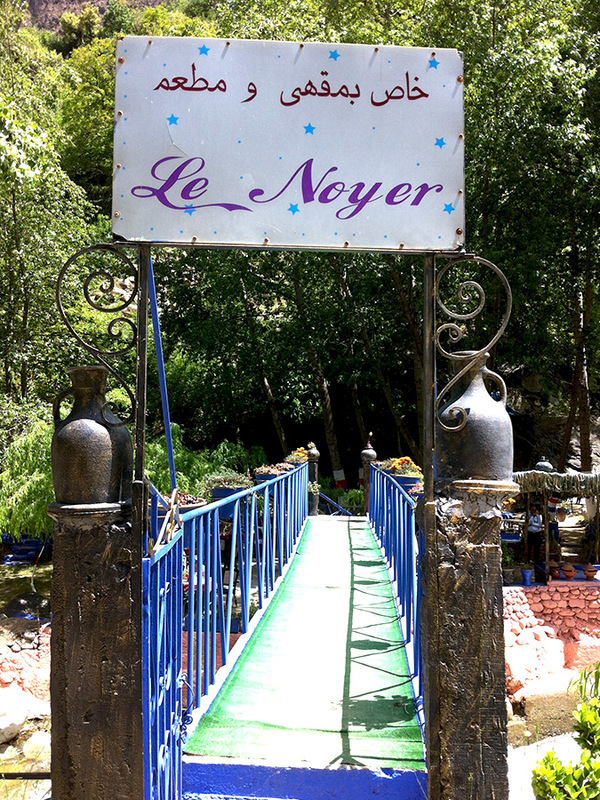 Try Restaurant Le Noyer or Asgaour. 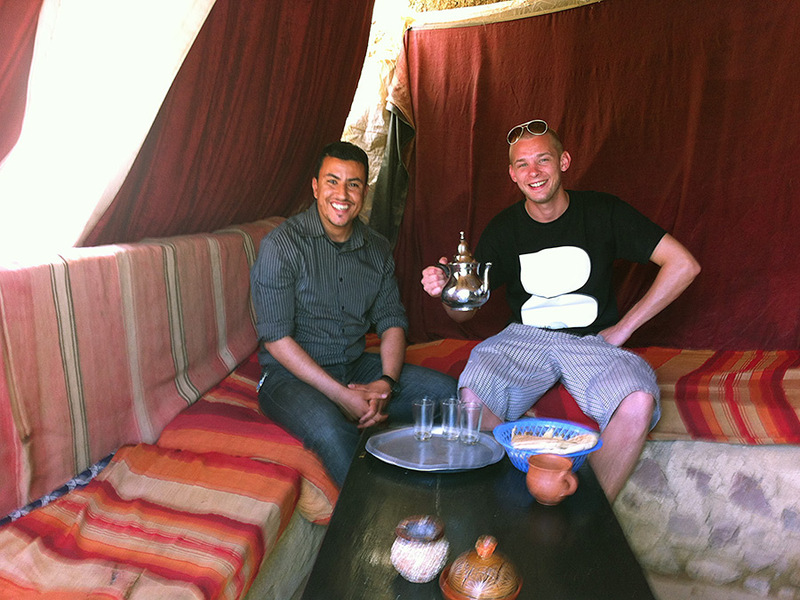 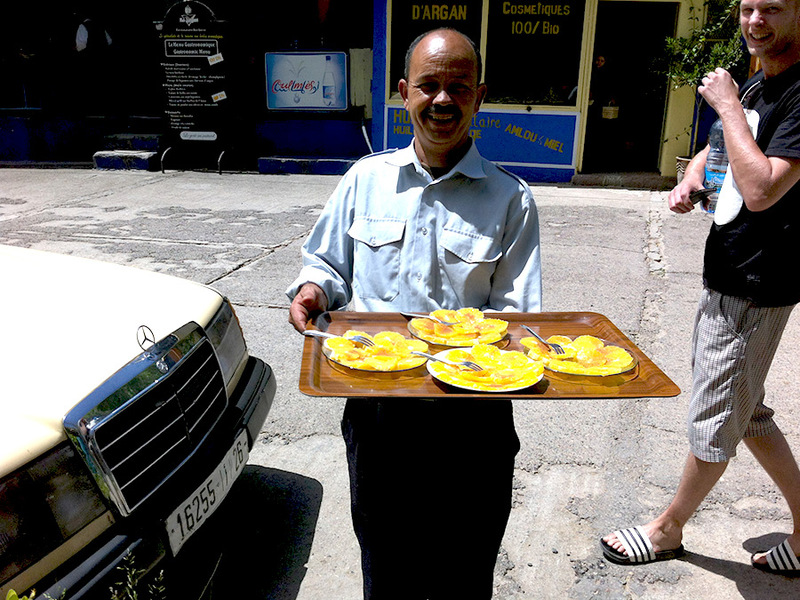 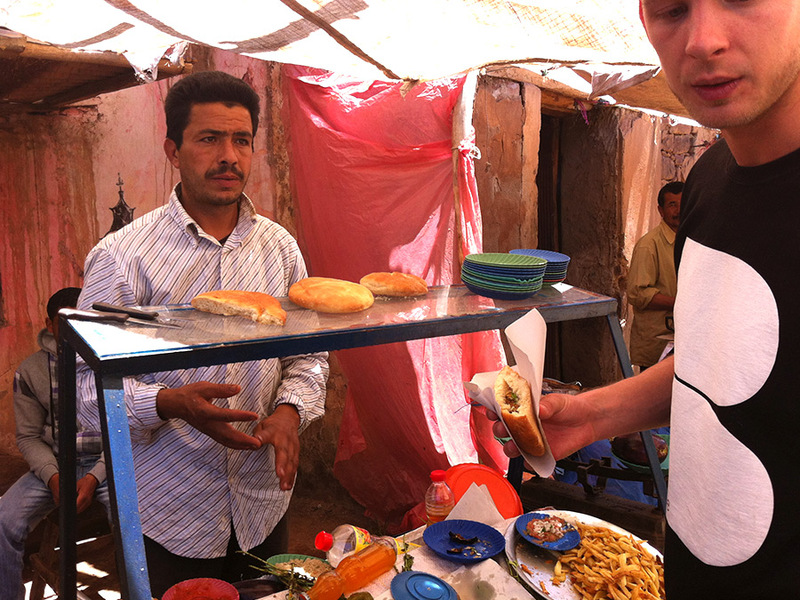 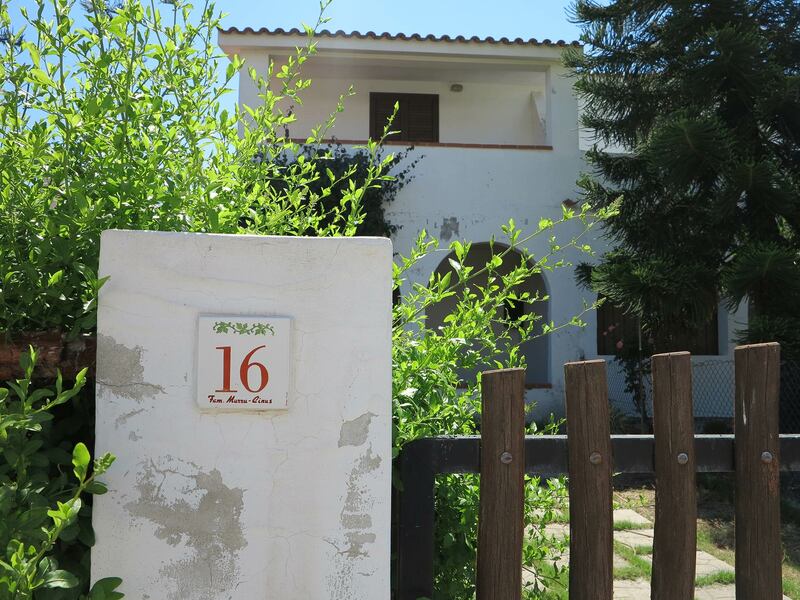 Negotiate the guide price and route with your riad before your trip. 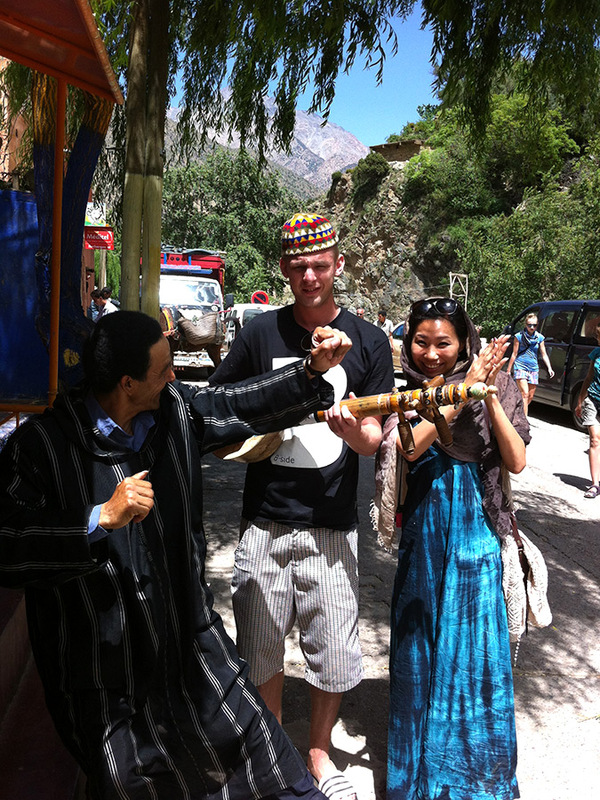 Get there early for best experience as the trekking path to waterfalls can get busy on peak seasons. 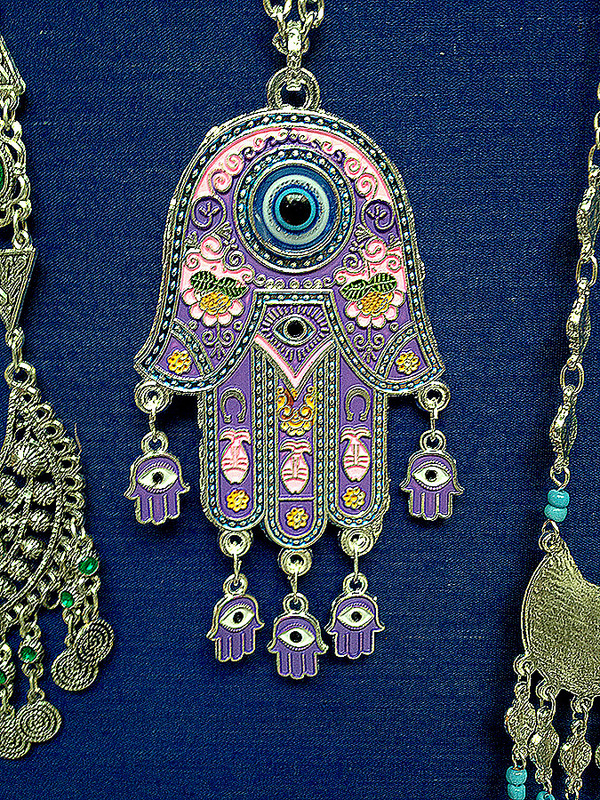 Bring all means of sun protection. 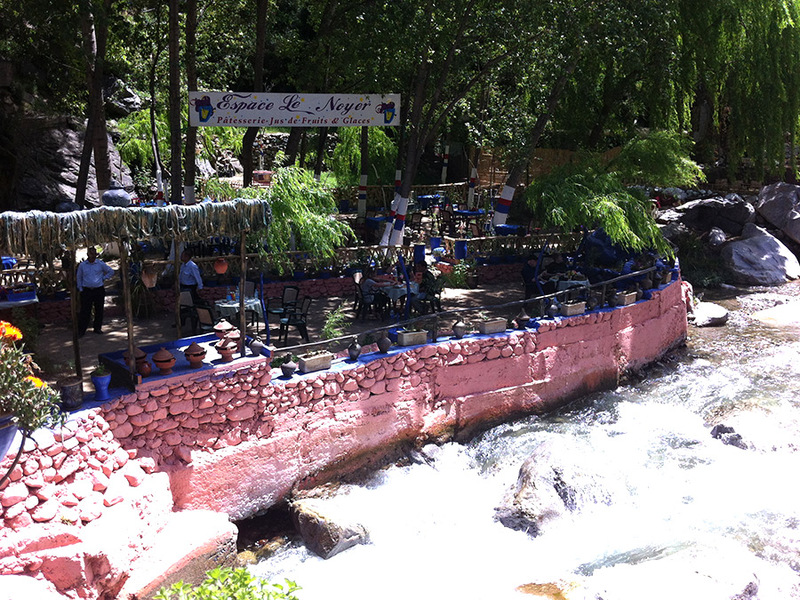 Take plenty of water and some picnic snacks to eat by the waterfall. 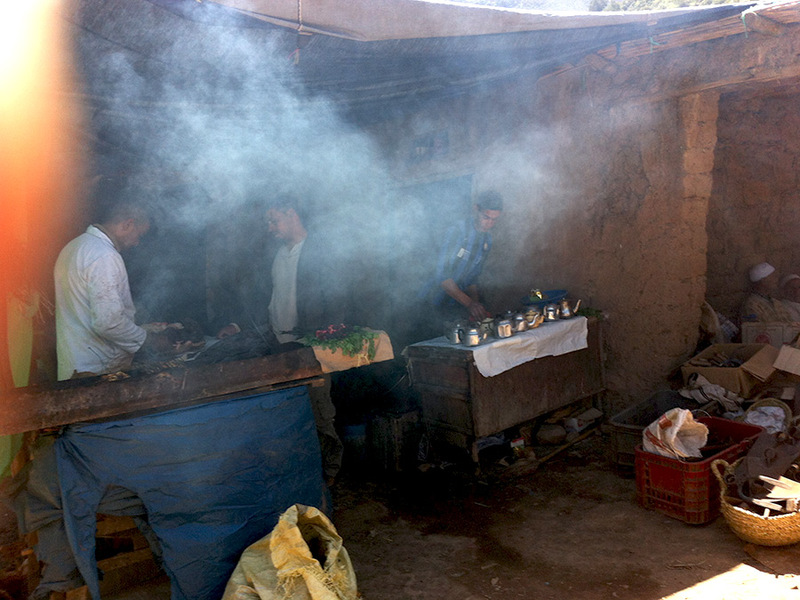 If you want to check out a Berber souk, go to Setti Fatma on Monday.